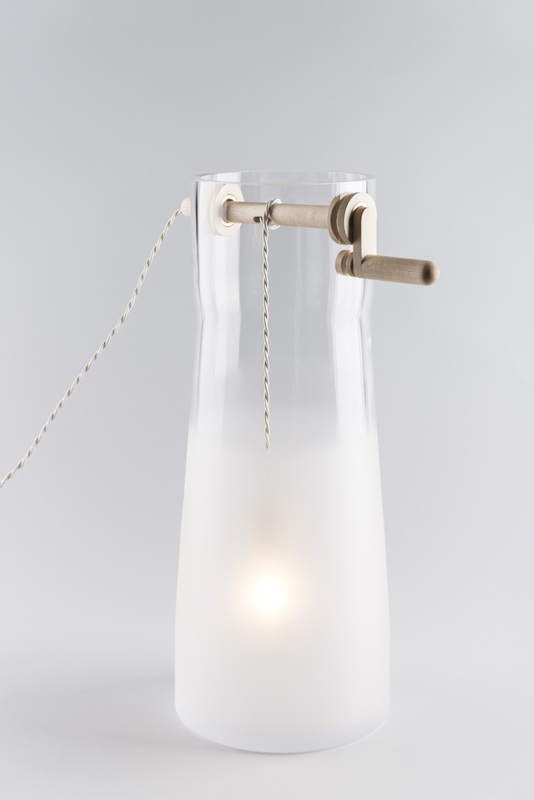 The Well Lamp by MEJD is inspired by traditional water wells. 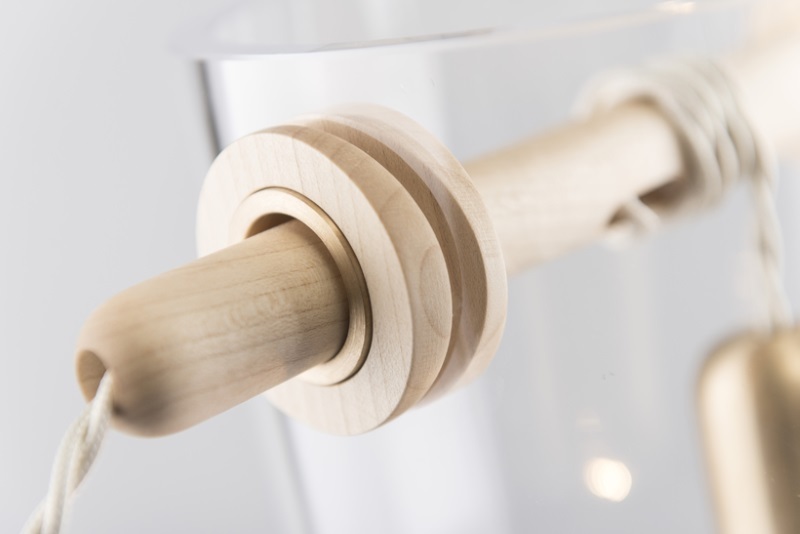 Suspended from a rope inside the glass case, the bulb can be raised or lowered similar to a bucket being winched in and out of the water. The gradient from transparent to sanded matte glass means you can adjust the brightness of the light as you choose. There’s even a blue version if you’re feeling daring! 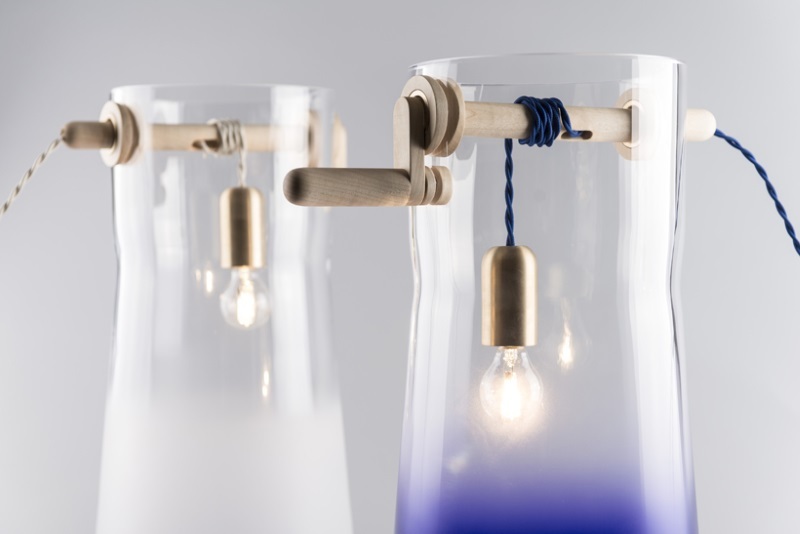 The handle parts of the lamp are made from brass and oiled maple. The heavy brass socket keeps the bulb pointing straight down when the handle is turned.